In this “smartphone” congested world, it’s still a breath of fresh air seeing lower-end phone being sported with credible specs the way Nokia does. 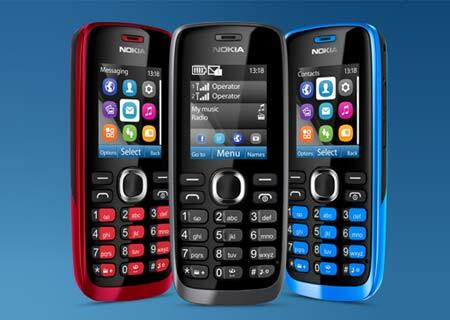 The new Nokia 110 proves that great things come in small packages…and price. Yup you heard it right, Nokia 110 is only Php 2,190. Price may be cheap but features are way better than other gadgets in the same price-range. Nokia 110 rocks a color display and a decent camera for taking pictures and videos. Plus, this candybar device is also an FM radio receiver and MP3 player. It also has the native Nokia Browser that is said to be 3-times faster than any other browser due to webpages’ compression. Native apps like Facebook and Twitter are also available; and if you wish to download more the Nokia Store will do your thing. Memory-wise, this phone is expandable up to 32GB, and did I say that it has Easy-SIM-Swap capability like other Nokia phones? You can grab it now from your favorite stalls in Black, Magenta, Lime Green and Cyan colors.